Our Senior infants, 2nd, 4th & 6th classes really enjoyed their Lego workshops! These workshops enabled the students to exercise scientific inquiry skills through direct hands on Science, Maths, Engineering and technology (S.T.E.M) activities. Children got the opportunity to practice and develop skills using LEGO education resources to predict, estimate, observe, measure and record investigations! 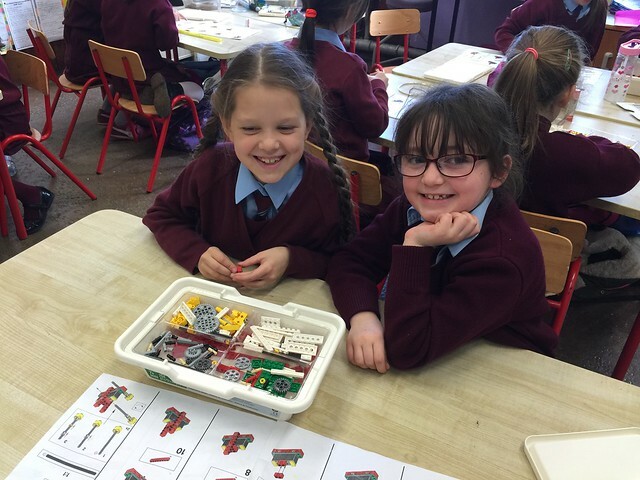 Click on the photograph below to see more photos on our Flickr account of Ms.Concannon's 2nd class during a Lego workshop!